Just wanted to show you guys what you're gettin, quality wise. The Georgia sticker was put on several months after the Soup sticker. Oh yeah, NO bashing Georgia either! I'm glaaaaad y'all say that. I was a bit worried about 'em. Mine are holding up fairly well, too. 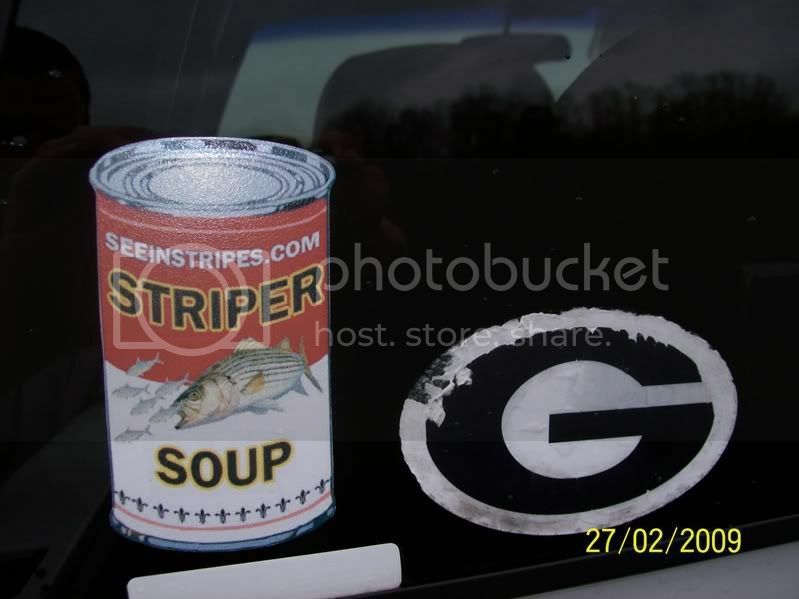 I think those Soup stickers are made in Tennessee and the GA, stickers are made just outside of Athens. The Soup sticker is doing great. Chef did really good getting those made. The second batch is supposed to be even tougher!